SNP’s Bill Walker and Brian Goodall joined representatives from Fife Housing Association for the launch of a new development in Inchkeith Drive, Dunfermline, described as a revolution in social housing. Beattie Passive is a patented build system that uses traditional, readily available construction materials in an energy efficient way, so houses are cheaper to build and cheaper to run. 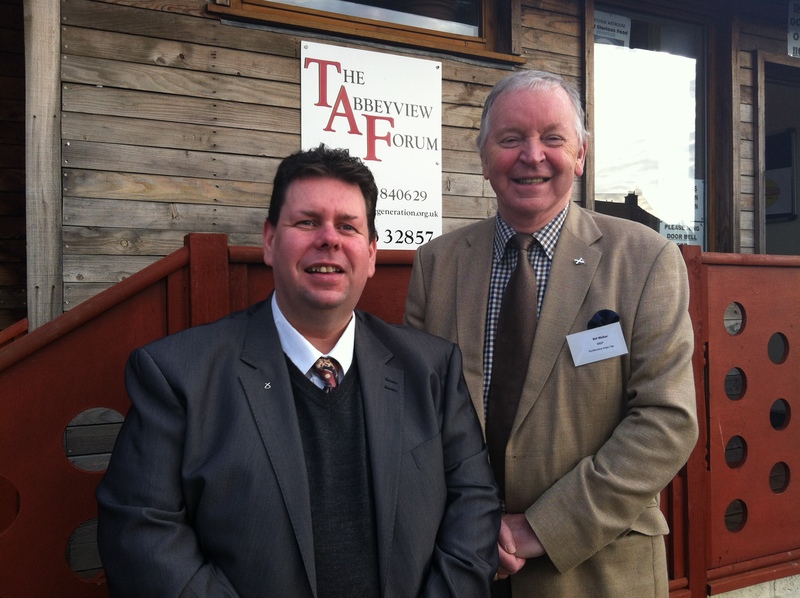 Dunfermline MSP Mr Walker and Councillor Goodall, Chair of the Housing Communities Committee, welcomed the development. Mr Walker said: “A three-bedroom Beattie Passive house would cost approximately £70,000 to build, while offering superior soundproofing of 65 decibels, double the fire protection of a traditional build, and a huge reduction in CO2 emissions. “The construction industry has ground down in recent years, leading to a serious shortage in affordable, energy-efficient social housing. Existing social housing is frequently poorly insulated, if it’s insulated at all, and that, combined with rocketing heating costs, means thousands are trapped in fuel poverty, afraid to switch on their heating. The Dunfermline development will see the construction of four homes for Fife Housing Association, certified to “passivhaus” standard and reaching the Government’s new Gold Standard—the first time this has been achieved in Scotland. The term passivhaus refers a construction technique for highly energy-efficient buildings that require little or no energy for heating or cooling. The build system will be manufactured by the Renewable Energy Skills Training Centre, Kirkcaldy. They and local tradesmen will be employed throughout the construction process. One unit in Dunfermline will be open in the near future for all to see, with an open book for all the costs available for 3 months.